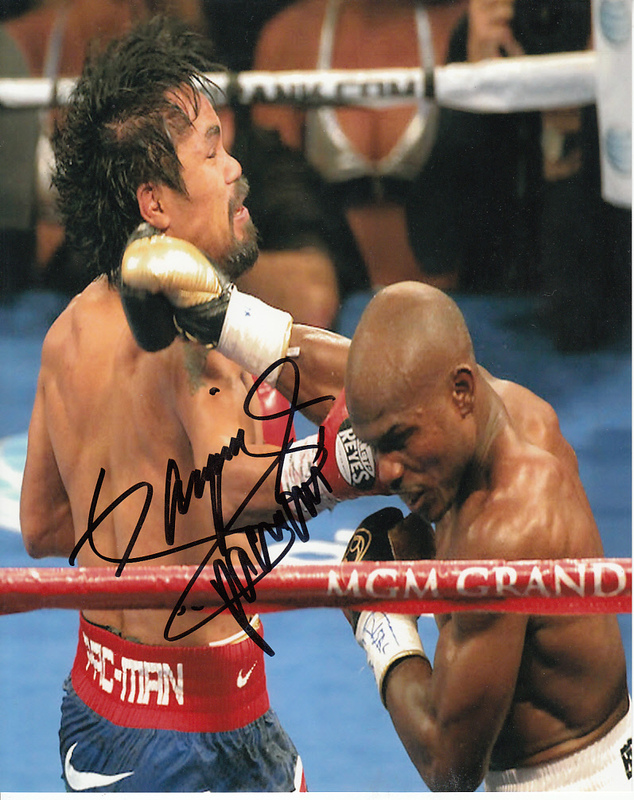 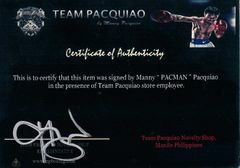 8x10 boxing photo autographed in black marker by legendary superstar Manny Pacquiao and inscribed Pacman. 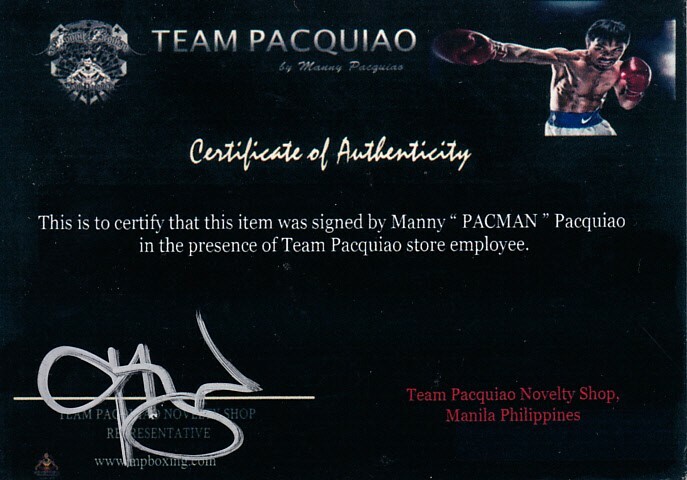 With certificate of authenticity from Team Pacquiao. ONLY ONE AVAILABLE FOR SALE.